Image courtesy of the Green Building Alliance. 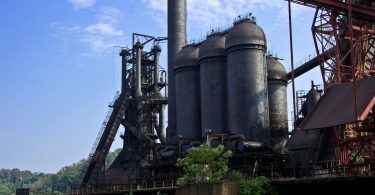 PITTSBURGH) July 23, 2018 – Almono LP has submitted a Preliminary Land Development Plan (PLDP) and Special District 10 (SP-10) Zoning Text to the City of Pittsburgh Planning Commission for future development of Hazelwood Green, a former steel mill site that is the City of Pittsburgh’s largest riverfront redevelopment project. Once reviewed, refined and approved, the PLDP will be used as the primary document for government officials, developers, design teams, site users, and community members to understand the vision, intent, and technical guidelines for the build-out of Hazelwood Green. The SP-10 Zoning Text defines the specific zoning requirements for the site, which will accommodate a mix of offices, research and development, light manufacturing, housing, retail, public green space, trails and transportation. 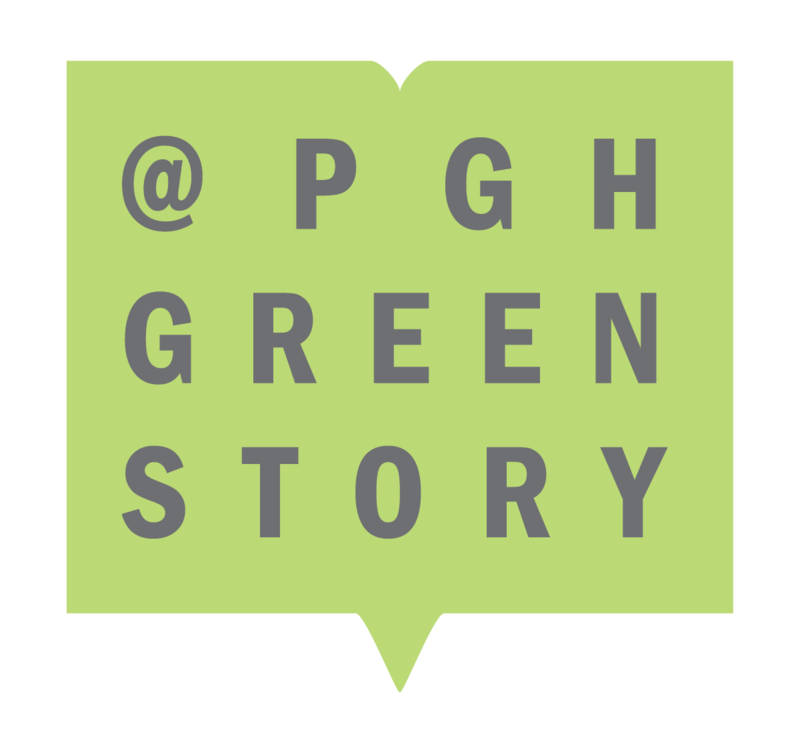 The document, which is accessible at www.hazelwoodgreen.com/plan and was provided in hard copy form to the Hazelwood branch of the Carnegie Library in June, will be updated throughout the review process. An overview of the plan will be presented to the Planning Commission tomorrow, Tuesday, July 24. The new 2018 PLDP requires approval by the Planning Commission and the amendment to the Zoning Text requires approval by City Council. These approvals will include briefings, public hearings, and final votes by each entity. Only those elements that are applicable and enforceable through a regulatory zoning document are included in the PLDP and SP-10 Zoning Text. In recent months ReMake Group has been meeting with and presenting to Hazelwood community members to discuss elements of the plan, understand neighborhood interests, and respond to input. The PLDP has also been developed to allow for a variety of uses as market needs – and the workplaces of tomorrow – change. With a median development target of 4.3 million square feet of nonresidential development and 3.8 million square feet of residential development across the entire site, the plan’s goal is to create a healthy balance of residents and jobs. Residential-High housing (minimum density of 63 dwelling units per acre) and Residential-Medium (density of 39-63 dwelling units per acre) could be located anywhere; and Residential-Low housing (25 to 38 dwelling units per acre, i.e., townhomes) is only allowed as a sole use on the southern Blocks located closest to the Hazelwood neighborhood. Light Industrial and Production-only uses would be limited to Blocks at the center of the site, in and around the Mill 19 building. The unique conditions of each of the site’s three Districts – Flats, Mill and River – are reflected in the PLDP’s standards for height, density, façade design, maximum parking ratios and required shared parking, and use of LEED and p4 standards, along with other design elements that will ensure a strong urban design is established for the site under any market condition. Introduction – highlights the Vision and Principles for the redevelopment of Hazelwood Green, identifies sustainability goals and measures, and lays the groundwork for future development on the site. Context & Site Conditions – provides neighborhood context, history, and heritage, as well as existing site conditions and improvements completed to date. Districts & Land Uses – describes the geographic division of the site into three sections — the Flats, Mill, and River Districts — and their associated land uses; describes guidelines for Urban Open Space. Block & Building Design – details site and building requirements, including Build-To Zone, building design, parking and service areas, and building and site performance standards. Mobility – details guidelines that ensure ease of access to, from, and around the site through multiple means of transportation, including pedestrian, vehicle, bicycle, and mass transit. This section also details street types and strategy to manage transportation demand and traffic impacts. Implementation – outlines goals for site-wide systems, i.e., district energy and water, ecological restoration, signage and wayfinding, and expands on how this PLDP can be adapted to changing markets and standards, and the intended long-term management of the site. 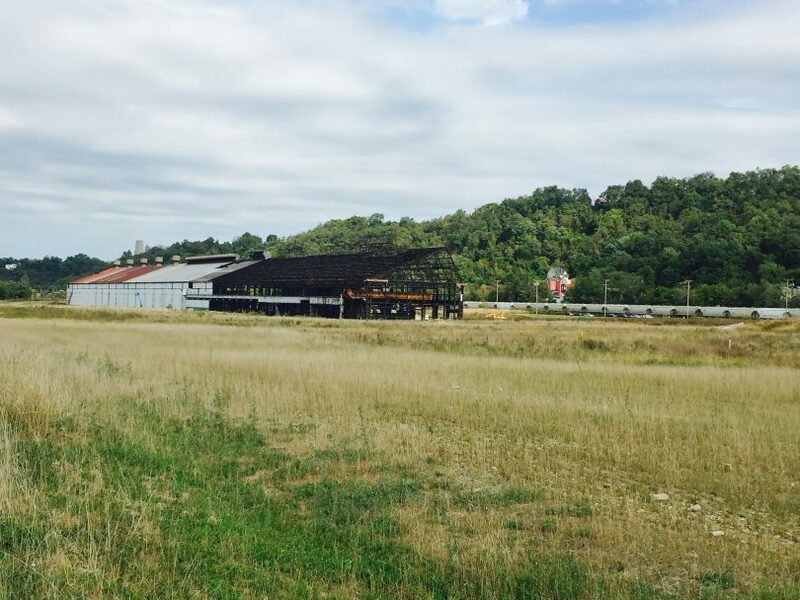 The Hazelwood Green site is envisioned as a global model for sustainable development practices. 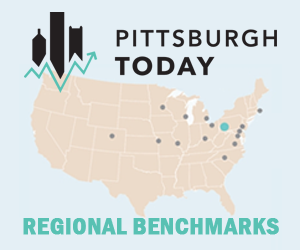 The 2018 PLDP identifies rating systems and metrics that will be used to measure performance, including: LEED for Neighborhood Development Plan certification, Pittsburgh p4 Performance Measures, and the International Living Future Institute’s (ILFI) Living Community Challenge. The PLDP integrates metrics for the environmental, social, and economic performance of development on the site and works to achieve excellence in design throughout its approach. While the PLDP establishes a framework for design, each future building development on the site will be required to complete a Final Land Development Plan (FLDP) for the building project being proposed. 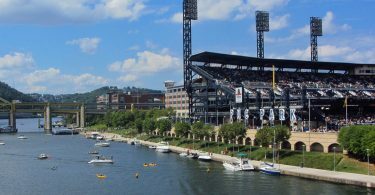 Each FLDP will be evaluated by the City of Pittsburgh based on what is set forth in the approved PLDP and the SP-10 Zoning Text.